The Big Darby Creek watershed is one of the best natural areas of Franklin County. 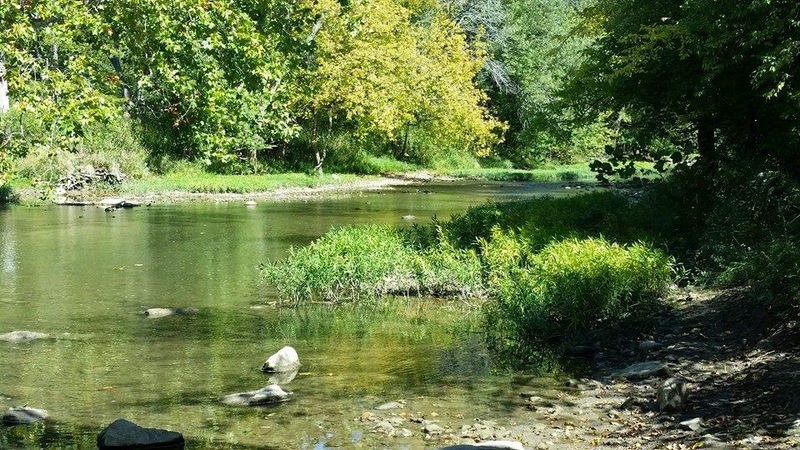 Designated a national and state scenic river, Big Darby Creek is one of Ohio’s most pristine waterways, and is home to several endangered species. 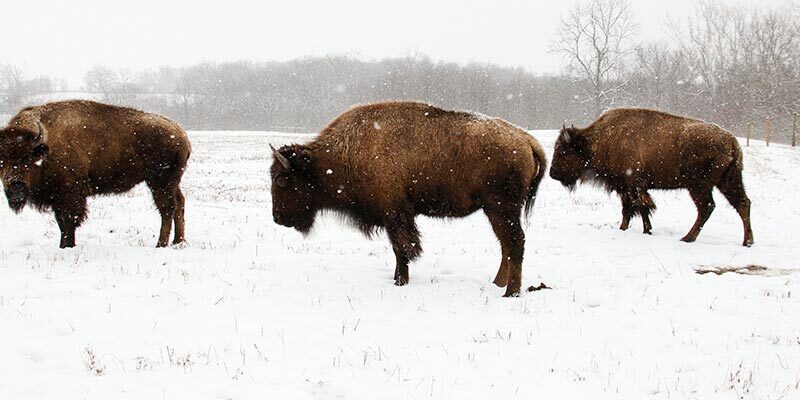 Battelle Darby Creek Metro Park has grown to become the crown jewel of the Metro Parks system, encompassing more than 7,000 acres of forests, waterways and prairie. The river’s history, however, has not always been so tranquil. All the way back in 1943, Ohio State University zoologist Milton Trautman discovered a tiny catfish in Big Darby, the Scioto Madtom. The fish only exists in the Big Darby, and was an early clue as to the biological diversity that can be found there, now known to be home to more than 100 species of fish and more than 40 species of mussels. By 1950, a small park of 34 acres had formed, the beginning of what would become the Battelle Darby. Development pressures, however, were already threatening the system. I-70 cut through the middle of the system in the early 1960s, and the construction of I-270 allowed for the suburban explosion. Without significant intervention, the watershed would’ve been inevitably developed. Ironically, a plan to largely destroy the Big Darby ultimately helped saved it. While most major rivers and streams in the state had been dammed or altered for flood control by the 1960s, Big Darby remained free-flowing. Two separate proposed projects would’ve changed that irrevocably. The first was a proposal by the Army Corps of Engineers to build what would’ve been called the Lower Darby Dam, in west-central Franklin County, near the heart of the current Battelle Darby park. The high dam proposal would’ve flooded at least 3,000 acres of land, and the Corps began to buy the land in preparation for the project. This was in the late 1960s, coinciding with the beginning of the development boom in western suburbs like Hilliard. Instead of prime real estate along the river being developed with single-family housing and strip malls, the dam plan had the opposite effect by making the land essentially unmarketable and off limits to developers. A coinciding proposal by the City of Columbus to build another dam, the Upper Darby Dam, had the same effect on areas at that proposed site in Brown Township further to the north. The 2-dam proposal had effectively removed the majority of Franklin County’s Big Darby Creek off the market. As development pressure was removed, environmental groups rose up to stop the Lower Darby Dam project itself. This fight was waged until 1973, when the plan was finally abandoned by the Army Corps of Engineers. They still owned the land, however, and with uncertainty of the dam project resurfacing someday, development interests continued to stay away. Three years later, in 1976, Columbus Metro Parks received a $1 million grant from the Battelle Memorial Foundation, which was then matched with an additional $1 million grant from the U.S. Department of the Interior Land and Water Conservation Fund. Suddenly flush with cash, Metro Parks began a land-buying spree along the Big Darby, particularly targeting the land that the Corps had set aside for the reservoir, pushing the size of the park from roughly 400 acres in 1976 to about 3,000 acres by 1984. That year, on June 22, 1984, 82 miles of the Big and Little Darby creeks were designated as state scenic rivers. The designation more or less ended any remaining plans for the Upper Darby Dam. It had been shelved since 1979 when the Department of Natural Resources and environmental groups managed to stop that dam project as well. Just 4 years after the scenic river designation, during the extremely dry, hot summer of 1988, the idea of the dam was revived. Former Columbus Service Director Walter “Hap” Cremean, whose name today is on some city facilities, considered the Big Darby key to Columbus’ future water needs. The city was searching for a source of water that could provide the city with an additional 30 million gallons of water a day by 2000, not a small task. Cremean himself had been the city’s service director at the time that Columbus was pushing for the dam project in the 1960s. The search for new sources of water for Columbus continued into the early 1990s, but by 1990, the Big Darby reservoir option was losing favor due to its long history of opposition. The city had drafted a study called Water Beyond 2000, which was finished on September 26, 1991. At least 20 options for expanding water sources had been on the table, including the Big Darby reservoir, but the study had narrowed down the choices to just 7. Among the choices eliminated from consideration was the Big Darby plan, an option that the study concluded was going to be one of the most expensive, at $280 million. 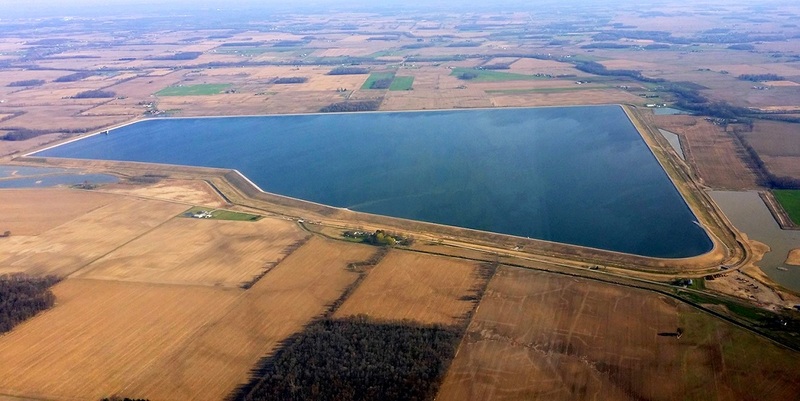 For all intents and purposes, the idea of a Big Darby reservoir was finally dead… or sort of. While a reservoir directly on the Darby was off the table, a reservoir in the watershed using the Darby’s water was still very much on. Through the rest of 1991 and into the first half of 1992, residents waited for the list of 7 options to be narrowed down further. On July 6, 1992, that final list came out. The Big Darby option was eliminated completely. No reservoir would be built anywhere near it. In the end, the Columbus Upground Reservoir was built just to the southeast of Richwood, along with new wells drilled along the Pickaway-Franklin County line. Combined, they provided more than enough water to serve the city long into the future. The following year, in 1993, the Big and Little Darby were given National Scenic River status, the highest designation a US river can receive. Battelle Darby Creek Metro Park has continued to expand beyond 7,000 acres and will continue to grow even larger in the future, with the ultimate goal of having the entire 75 miles of Big Darby as part of a continuous park. Development pressures remain in the area, and in recent years, there have been the occasional fish and mussel die-offs, suggesting that the Big Darby is still under threat. What we do with this beautiful natural resource is up to us. Though dams are no longer in the picture, other dangers lurk. The rhyme was referring strictly to water conservation, but it seems to me that saving water- and indeed all natural resources- does not just mean using less. The Big Darby, along with all our waterways and natural areas, deserve our lasting protection. Had better heads not prevailed, Battelle Darby would’ve been under 50 feet of water today, and Columbus- and Ohio- would be without one of its best natural areas. This entry was posted in Columbus City, Columbus Metro and tagged 1968, 1984, Big Darby Creek, Dam, Development, Environment, History, Reservoir, Water by admin. Bookmark the permalink.